And now she’s charged with ripping off a visual artist in her music video, God is a Woman. Russian-American artist Vladimir Kush accusing Grande of plagiarizing two of his paintings in the video. 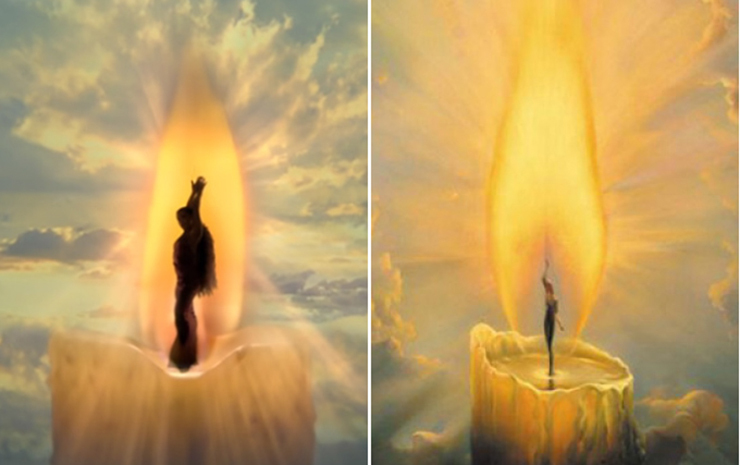 Grande dances inside the flame of a candle in the video . The artist discovered the resemblance to his own work after encountering a PopSugar post examining visuals. “This depiction of Ms. Grande is strikingly similar to Plaintiffs’ copyrighted works. That case, against Kendrick Lamar and SZA for their music video All the Stars, was settled late last year. Kush is seeking damages and for the video –which has over 200 million views on YouTube– to be removed from the internet. “This is a pretty clear-cut case of copyright infringement. Though created decades apart, the two images are practically identical. It’s very likely that Kush will walk away with a strong settlement.